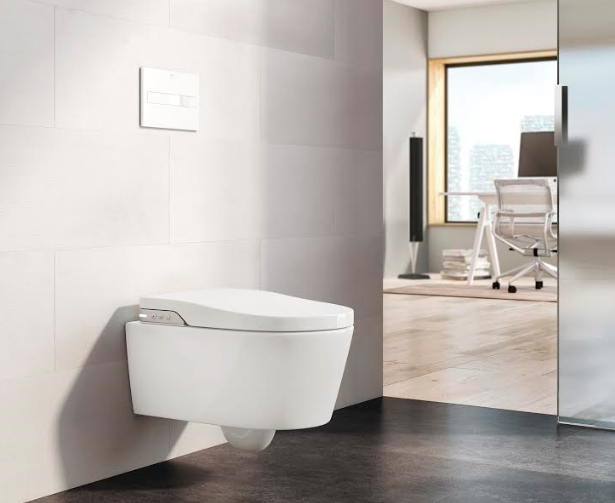 Roca Bathrooms exhibiting at ISH 2017, Germany with ‘Roca Mall’. 15th March’17: In the year of its centenary, Roca attends the ISH fair in Frankfurt with a new concept of stand, the Roca Mall, a modern shopping centre with over 1000 m2 that puts together the history, the present and the future of the brand through its different collections and products. featuring the most advanced technology with a universal design and a user friendly interface. 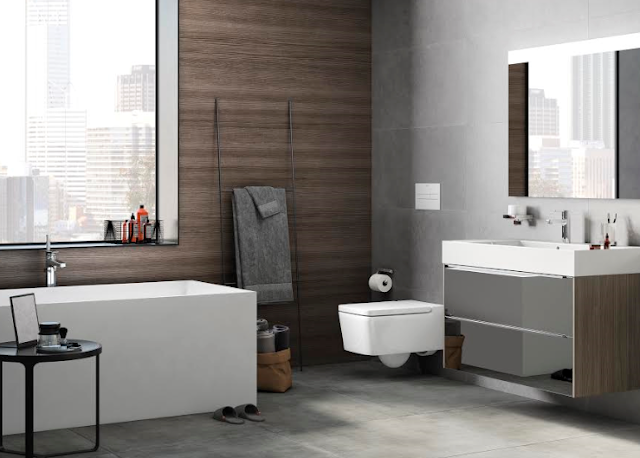 And Inspira, the ceramic and furniture collection that provides inspiration for bathroom projects with its three design lines that allow individual configurations of the bathroom according to each user’s style. 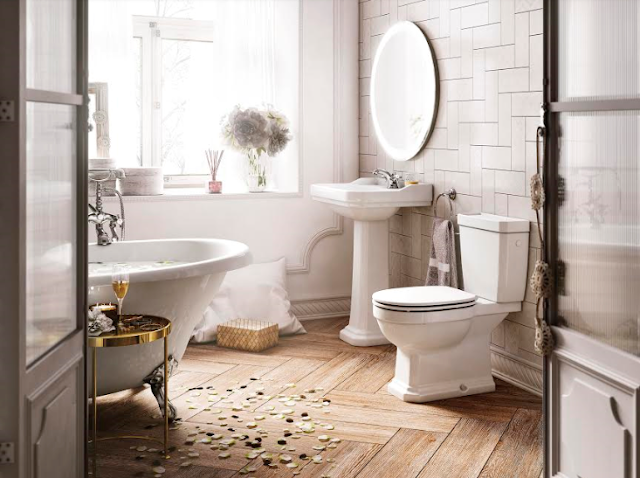 promoting comfort and wellbeing, expressing his vision of the bathroom environment through a combination of elements that allow maximum flexibility and adaptability. The aesthetic intentionally references the past but the retro styling is brought up to date by being interpreted in a modern manner and the incorporation of avant-garde technology. The result is a new versatile bathroom collection, which manages to be both contemporary and timeless, in accordance with Giorgio Armani’s well-known design philosophy. 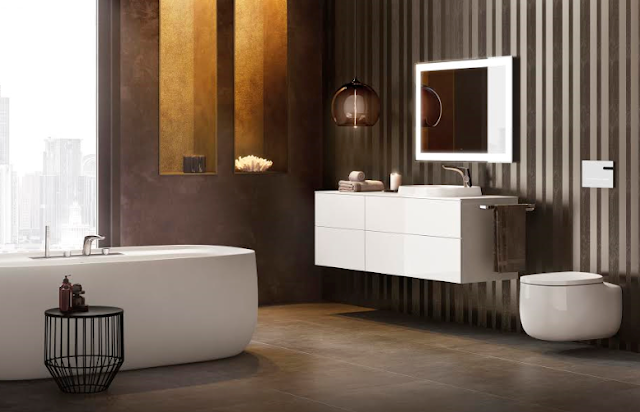 Roca is a company engaged in the design, production and commercialization of products for the bathroom space, as well as ceramic floor and wall tiles for architecture, building and interior design. Its origins date from 1917, when the Roca family started building their first production plant in Gavà (Barcelona). In the centenary of its establishment, the company employs over 22,600 workers and has 78 production plants, with presence in more than 170 markets in the five continents.